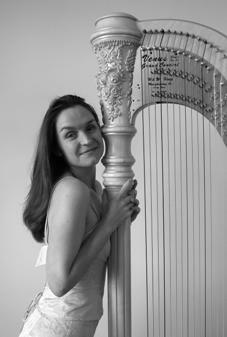 Ruth is a versatile harpist with 20 years professional experience in all areas of performance. She has played throughout the UK at major concert halls and prestigious venues including The Royal Albert Hall, Truro and Exeter Cathedrals, St. James' Palace, Queen Elizabeth Hall, and Barbican Hall. Now based in Bath, she performs extensively around the South West frequenting the beautiful Roman Baths and Assembly Rooms as well as many of the luxury hotels in the location. She is in demand with Orchestras, Opera companies and as a Soloist, as well as for weddings and other corporate events. Whatever your requirements, Ruth will be happy to assist. See Video Excerpt of La Source by Alphonse Hasselmans. Coombe Lodge, Summer 2015. Thanks to Ben Pope of A Perfect Memory.